1. Would you like to write a blog for AllMagicSpells? We all have lots of opinions and theories and ideas about witchcraft, spells and magic. Every day people email me with their thoughts and I’m often inspired by them. I want to share that inspiration with the world, so I’m opening up this “News” section to invite you to write a post and I will publish it here for everyone to read. 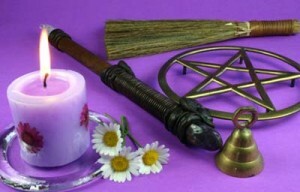 - Your post can be about anything to do with witchcraft, magic or spells. Your experience, your tips or advice, a story you head, an inspiring anecdote, whatever you want. - It must be at least 400 words long (that’s roughly 4 paragraphs with 5 sentences in each paragraph). - You can include pictures – in fact, the more pictures the better! - Try to write about something new that hasn’t been covered loads of times around the web before. - What can you teach us about magic and spells? What stories do you have to entertain or inspire us? I love looking at photos of other people’s magic, and I bet you do too. Let’s all share and we can have some fun. Send in your photos and include a description of what the photos are and when they were taken. I’ll review all submissions and post the best ones up on the blog. As with the blog post, please also include your name, email and location (state/country). That’s all for now, I look forward to receiving your submissions! You can find my email address on the Contact page. I have just updated the website to add an exciting new feature! You can now ask questions about each of the individual spells on my website, and I’ll do my best to answer those questions right there on the page. This way the whole community can benefit from your question and my answer. For example, take a look at the Get Ex Back Spell. You can see in the top right corner underneath the picture of the spell book there’s a link that says “Ask a question”. If you click that you will be taken to a form where you can fill in your question. When I answer your question you’ll even get an email so you don’t miss it! I am very excited to announce that MP3 audio versions of my spells are now available. When you’re casting a new spell it can be awkward having to constantly refer to a piece of paper in front of you to follow instructions. Sometimes even when you know the spell very well, you might need a little reminder of the next part, and so you glance over to your instruction sheet. Or perhaps you aren’t able to print the spells so you have to keep them open on your laptop or computer – that’s even more difficult! This is why I’ve introduced MP3 audio spells. You can play them from your computer, or you can copy them to your personal MP3 player, or you can even burn them onto a CD and play them through a normal CD player. Now when you’re casting a spell all you have to do is listen and follow along with the instructions as they’re read out loud to you. The audios also have soothing, atmospheric and magical background music to help create the best environment within your home for spellcasting and maximum power. This will help you concentrate more, focus better and ultimately impart more energy into your magic, which will boost your results. When you add some spells to your basket and proceed to the Checkout, you will have the option to upgrade your purchase to include MP3 audios for a very small additional cost. Give them a try and let me know how you get on! This week I’ve had a lot of people ask for a Pregnancy Spell, so I dug around and pulled out an old favourite of mine. Using herbs for health and fertility, and some powerful invocations of fertility spirits, this Pregnancy Spell could be the key to the pregnancy you’ve been looking for! No article to add to the site this week, but instead a great video I found while surfing the internet today. Enjoy. Today I was talking to a friend who has never tried magic before. She often asks me about it though, and enjoys hearing stories of how I choose spells, how I cast them, and it’s fun for me to watch her jaw drop as I describe the results I have acheived! But today she asked me a question she hasn’t asked before. Apparently she’s been reading about magic and witchcraft a bit more, and she’s come across all sorts of different types of magic… White Magic, Candle Magic, Hedge Witches, and so on. To answer her question, I had to pause for a moment. I’ve always considered myself a fairly traditional White Witch, practising White Magic. Obviously I draw inspiration from a wide range of sources as I’m sure you do, herbology, candles, colours, seasons, the elements and so on. I tried to explain this to her, that magic is a very personal thing and many witches enjoy their own unique twist and interpretation, and I promised I’d ask around to get her some more examples of how people describe their craft. So… what sort of witch are YOU? Post your thoughts in the comments below! 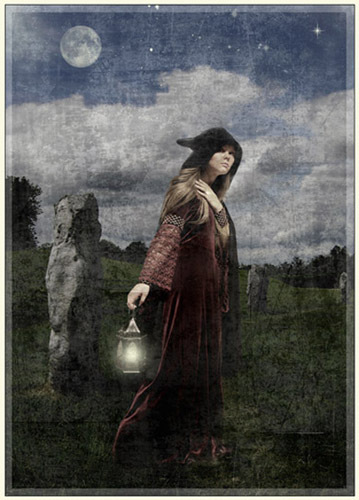 PS – I added an article about Shape Shifting Magic Spells to the website today. Do read it and let me know what you think!